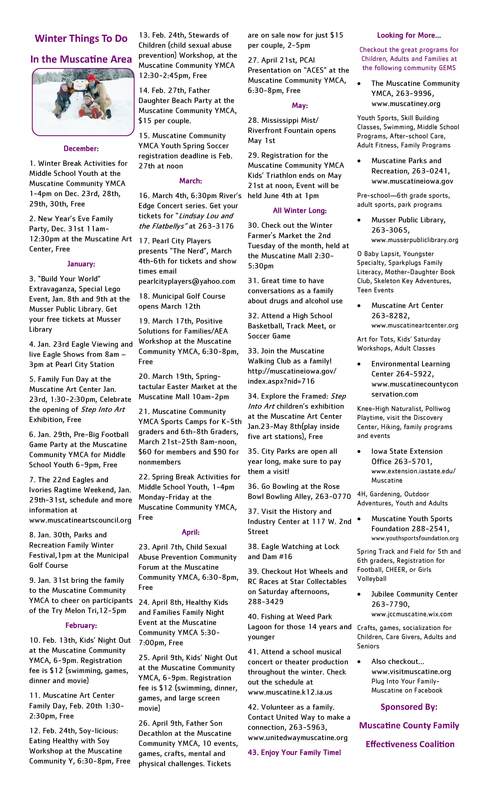 Winter Things to Do in Muscatine Area is out once again. Commuity Events, activities and places to be all in one place. Don’t miss out on any great programs this Winter, checkout the Winter Things To Do!